As regular readers will know, I’ve been trying my best to watch all the Oscar nominated movies this year. I’m going to fail massively on the Documentary, Foreign and Short categories, but I think I might actually manage watching everything else (which would be a first for me!). Reviewing all of those movies though… I’m not sure how far I’m going to get with those. I’m going to at least try to review all the Best Picture nominations. I already blogged about Les Miserables, Life of Pi and Argo (read that blog post here), so only six more to go! I’ll do three today, and hopefully the remaining three tomorrow or Sunday. Here’s a confession: I still haven’t seen Reservoir Dogs or Jackie Brown and I didn’t really like Pulp Fiction. But I loved Kill Bill and Inglourious Basterds, and now also loved Django Unchained. Tarantino’s past three movies have been all over-the-top, odes-to-certain-genres, unique movie experiences, and I can’t help but admire his style. In Django Unchained, Tarantino manages to blend the elements of a spaghetti western with 70s blaxploitation. And bizarrely that works. 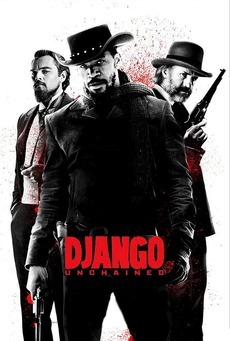 Jamie Foxx is excellent as the titular character Django, who turns from slave to bounty hunter. But it’s Christoph Waltz that again shines; there’s just something about the combination of him and Tarantino’s dialogue that makes it all awesome. I know some people don’t like Tarantino’s movies, cause of the bloodiness and gore, but actually? I think it’s so over-the-top to the point of unrealism that it’s not gory. Blood exploding in a fountain after one shot? It makes me ponder the tech they used to get that effect and once I start thinking of all the gore in terms of special effects it all becomes laughable. Am I the only one that does that? The West Wing meets American History 101. That’s the way I heard Lincoln described to me. And they weren’t wrong. I have to admit I think I normally would have struggled a bit with the background politics and history, but having just played Assassin’s Creed 3 I actually had recently read up on that bit of history (I know we covered it in high school, but it’s been a while). 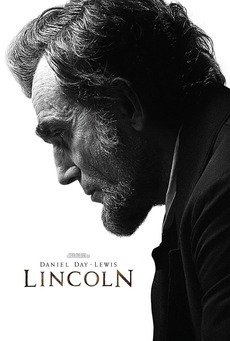 Daniel Day-Lewis’s performance as Lincoln is awesome. It’s impressive how he breathes life into this character, without it turning into a caricature which I think in the hands of a lesser actor would have very easily happened. He fully deserves the Oscar this year, so I’ll be rooting for him on Sunday (although I don’t think my rooting is needed, he seems to be winning every award this year!). 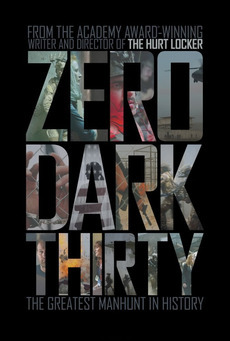 Zero Dark Thirty was one of the nominated movies I was least looking forward to. The topic just didn’t seem like something I’d be interested in and I wasn’t a huge fan of Kathryn Bigelow’s previous movie The Hurt Locker either. I have to admit though I was wrong and was pleasantly surprised by Zero Dark Thirty. Although “pleasantly” might be the wrong word. Zero Dark Thirty is a great movie, but it’s one I wouldn’t say is “enjoyable” or “fun”; it gives a stark, harsh, visceral look at the decade-long hunt for al-Qaeda terrorist Osama bin Laden after the September 11 attacks. Even though you know how it’s going to end (well, I’m assuming most people would know how it ends) it still is exciting to see the entire story unfold. The first half of the film features a brutal and unsettling depiction of torture, making you aware of the disturbing lengths people went to to obtain the truth. Jessica Chastain gives a powerful performance as the CIA operative who is relentless in her search for bin Laden and in her belief of this one flimsy lead. Bigelow has managed to create a movie that is intense and exhilarating to watch, keeping you at the edge of your seat the entire time.